Ice Wine wins Governor's Cup 2 years in a row! We grow premium grapes that produce wines with distinctive varietal character. 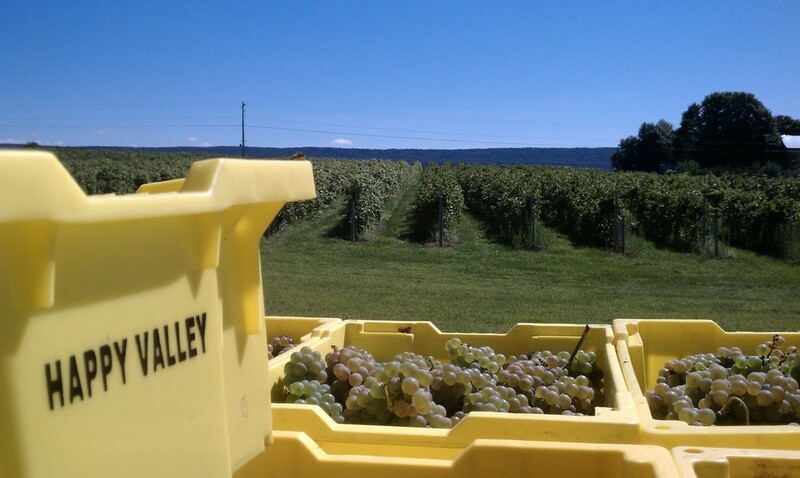 Located in State College, PA, the 9 acre vineyard at Happy Valley Winery produces specific varietals that transform well into our stylistic wines. At Happy Valley Vineyard & Winery, we begin with sustainable agricultural practices in the vineyard as well as using energy efficient products to make our wine. Take a much needed break and enjoy a glass of wine on our patio. 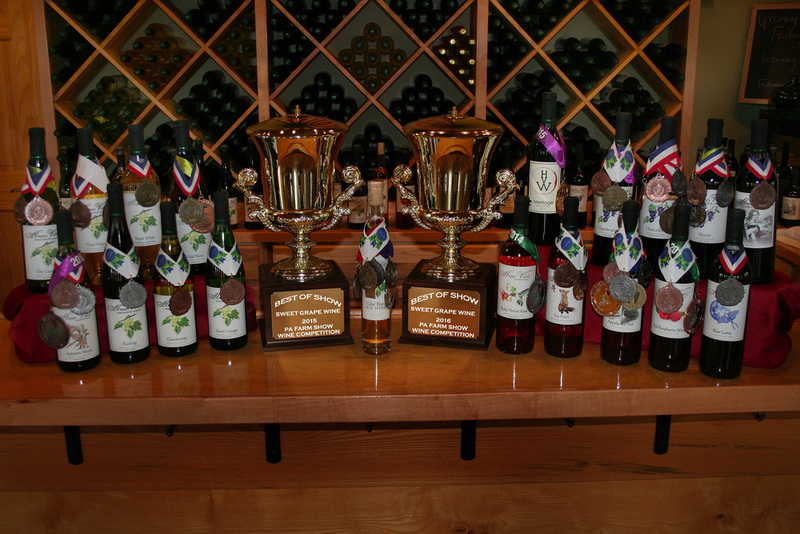 Our wines have been honored with national and international awards since we began production in 2010. Enjoy! 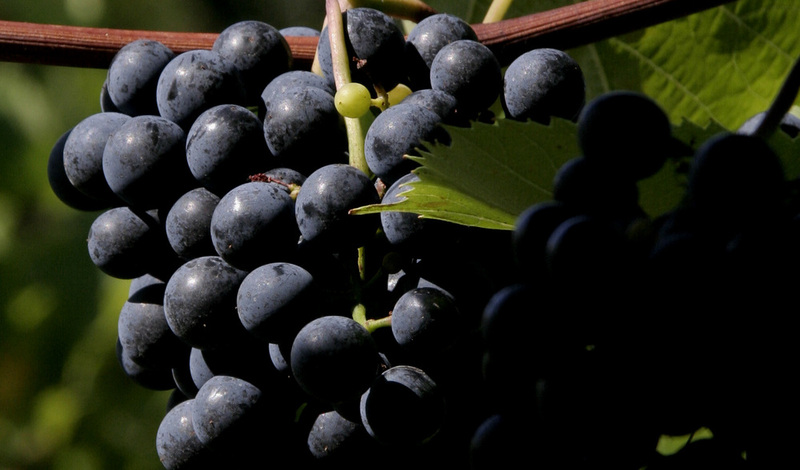 We grow premium grapes that produce wines with distinctive varietal character. Although we focus on dry whites and dry reds, our list of thirty plus wines has something that will please every palate. Happy Valley Vineyard & Winery, we strive to provide quality wines by beginning with sustainable agricultural practices in the vineyard as well as using energy efficient products to make our wine.